It’s the anniversary of the blog today. It’s been three years since I started this. I should have come far. I should have written more. But for reasons I cannot fathom I haven’t come as far as I wanted to. The past year has been pretty disappointing. I was stuck in a rut and refused to budge. But everyday I am easing myself out of it bit by bit. Who knows, this year might be the year that I have many stories to tell. Actually, I always have stories to tell but words really evade me at times. This time I promise to try harder, to be better. I celebrated the by eating cupcakes a couple of days before. I can never turn down dessert. Especially small, sinfully chocolaty, creamy cakes. 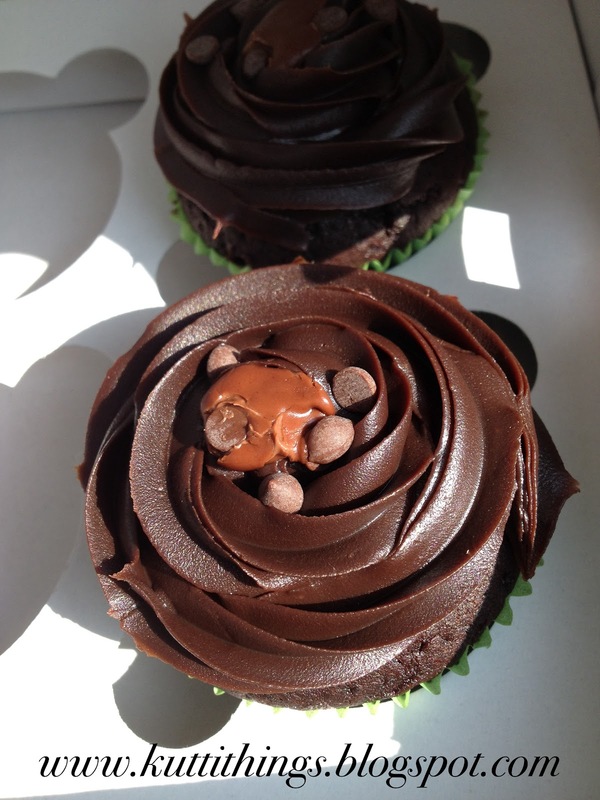 The Cupcake Company has opened shop in Anna Nagar. I suggest you try it out. @Shafi : Thanks! I appreciate your kind words. @Sarah : Thank you! You will not believe how delicious they were!